Do you know what can be the best ingredient to keep your garden greener? Well, it is nothing but a regular supply of water that can really help you to maintain a perfect garden. If you are living in a city like Melbourne, then you surely know how challenging it is to have a garden in your home and maintaining it. Since the population in the city is ever increasing, the demand for water is increasing too. At the same time, the scarcity of groundwater is becoming a stark reality as well which you cannot ignore in any case. Hence, you must think of other ways to preserve water so that you can not only utilize it for your household but also for your garden. 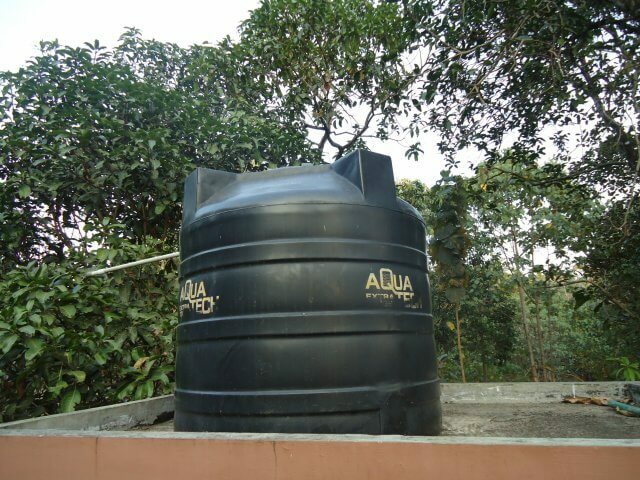 One such way of preserving water is buying the best water tanks. When you are buying and installing the water tank on your Melbourne property, one thing is surely plaguing your mind. You must be thinking how you will be able to conceal the tank in your property so that it doesn’t affect the aesthetics of your home but at the same time, makes your garden greener. If you are thinking in the same line, then don’t worry. Here, you will find a few useful tips that will help you conceal the tanks effectively while keeping the water supply of your home incessant. Take a look at the following points to know more. When you are going for tank shopping, you will find most of the tanks in black and blue. However, if you are thinking of keeping the tank hidden, more than black and blue, choosing the tank in earthy shades will be a better option. Green, brown or gray colored tanks are easier to hide in the garden or in the backyard of the house as they perfectly camouflage with the plants and trees. If you are going to choose the standard big round Water Tanks Melbourne, then you have to place it in a spacious place which will easily give away its presence. However, there are various other kinds of tanks like slimline tanks or underdeck tanks that can be easily hidden while ensuring a huge storage of water for your garden and regular household works. If you are going to keep the tank at a greater height, for example, on a rooftop or on a high platform in your garden, then it will be clearly visible to the passerby. So, it is necessary that you pay attention to the installation of the tank on your property. If you are purchasing a slimline water tank, you will be able to hide it between the wall and the fence or trees. If you are opting for the underdeck tanks, you can easily hide them under the deck, floor or under the ground. By choosing the right kind of tanks, you will be able to take care of the aesthetics of your house and garden while getting constant water supply for your home. When you are planning your garden, buying the tank beforehand can offer you an advantage. If you get it installed at the place you want it to be, after that you ask your landscaping expert to create a screen for concealing the tank. It will easily cover the tank with plants so that it doesn’t affect the beauty of your garden. In fact, such landscaping arrangements can make the garden look complete while making sure that you never run out of the water. Do you have really naughty but creative kids at home? If yes, then you can involve them in this work. Hand them with their brushes and paints. Ask them to draw murals that will easily change the appearance of the tanks. On one hand, it will add to the character of your home exterior decor, on the other, it will make the tank a part of your yard. So, now as you know about these five ideas, what are you waiting for? Make a plan, keep these tips in mind and buy the right tank for your property. Mathew Arnold is a famous blogger on home improvement. Here, he talks about the ways to conceal the Water Tanks Melbourne in your property. Next4 Healthy Fruits That Will Give You More Energy for Your Body!